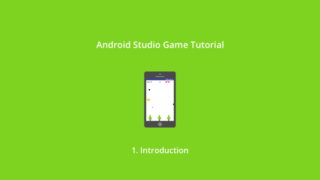 Welcome to my second Android Studio Game Tutorial! In this series, I’ll show you lots of new stuff that I didn’t include in Catch the Ball series. You can download free demo app from the link below. Please download and try it before starting the course! – Create the quiz set. – Display question and choices. If you just want to know how quiz game works, definitely try it! In chapter 2, we’re going to add more features. In chapter1, we prepared only 15 quizzes. As the quiz app, these are not enough for users. So, I’ll show you how to use SQL Database so that you can generate lots of quizzes. The sound effect is the necessary feature for games. After releasing the app, generating revenue is the significant part. I created the video about the interstitial ad in catch the ball tutorial, so we’re going to implement the banner ad in this tutorial. If you combine interstitial and banner ads, you’ll be able to make more money! This is the big bonus chapter, and we’re going to connect to Play Games Leaderboard. When I first tried this, I had read documents and several blog posts. In my tutorial, I don’t want you to feel the same way! I wrote code as simple as possible and included images that help you to understand. Hi sara ma’m ! I have seen your music player app tutorial and followed it thoroughly to achieve mine. I loved your programming and layout design. Its simple and gives an actual look and feel of a pro app. I felt exciting after following your tutorial. Your tutorial has finishing that gives a real app feel. Please keep updating your website with more android video covering topics e.g browsing for a media file so you can listen to your choice of music, playing any video, browse for an image to set as profile, capturing an image and save it. I am eagerly waiting for your videos on this. Plus also post your game tutorials too. Flying bird is superb. I am hoping if i could also learn unity3D games from you if you also develop those.